With the first two Galileo in-orbit validation (IOV) spacecraft working well, the European Space Agency (ESA) has decided to end the mission of its pioneering GIOVE-A satellite that had long exceeded it original purpose and design life. Meanwhile, with the next Galileo launch approaching, ESA has expanded its Radio Navigation Laboratory (RNL) to meet the testing needs of Europe’s GNSS program. 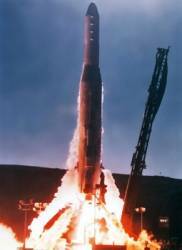 Launched by a Russian Soyuz rocket from the Baikonur (Kazakhstan) space center on December 28, 2005, the first Galileo IOV-Element spacecraft performed the vital task of securing the radio frequencies provisionally set aside for Galileo by the International Telecommunications Union. Its design, production, and launch were conceived and executed on a short timeline when the larger, more complex satellite — subsequently designated GIOVE-B — fell behind schedule. ESA formally ended GIOVE-A’s mission at the end of June, although it will continue operations under prime contractor Surrey Satellite Technology Ltd of Guildford, United Kingdom, gathering radiation data and performance results from a GPS receiver. In addition to securing the swaths of RF spectrum needed for the GNSS program, GIOVE-A flight-tested atomic clocks and other equipment in space for the first time and investigated the radiation environment of medium-altitude orbits, never used before by a European mission. “GIOVE-A had a design life of only 27 months; so, to continue operating for 78 months is impressive,” said Valter Alpe, managing GIOVE activities for ESA. In August 2009, to make way for the IOV satellites, GIOVE-A was moved into a “graveyard” orbit about 100 kilometers (62 miles) above the Galileo constellation’s normal 23,222-kilometer orbits. Built to a tight deadline by SSTL, GIOVE-A carries a rubidium atomic clock accurate to three seconds in a million years. On April 27, 2008, GIOVE-B joined the pathfinder spacecraft in orbit. Built by an Astrium-led consortium, the larger satellite carries an even more accurate passive hydrogen maser clock — the first to be flown in space for navigation — accurate to one second in three million years. For redundancy, operational Galileo satellites carry two pairs of hydrogen maser and rubidium clocks. The GIOVEs were modified from existing satellite platforms: a prototype geostationary minisatellite for GIOVE-A, and a commercial French Proteus platform typically used for Earth observation for GIOVE-B. With an orbital lifetime thus far of 50 months and counting, GIOVE-B will be used in payload fine calibration tests this summer along with the two Galileo IOV satellites. Then, in September, it will be maneuvered into a graveyard orbit 300 kilometers higher. At this point, GIOVE-B’s own mission will end. Early October will see the launch of the next two Galileo satellites by Soyuz rocket from Europe’s Spaceport in French Guiana, according to ESA. 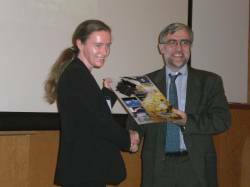 “This will be an important step forward because four satellites are the minimum to perform navigation measurements, so Galileo system testing can proceed.” A follow-up batch of full operational capability Galileo satellites is being built by Germany’s OHB and SSTL, with initial Galileo services forecast to be available by 2014. Located at ESA’s ESTEC technical centre in Noordwijk, the Netherlands, the NRL has almost doubled in size, and includes a specialized facility, the PRS Laboratory, designed to evaluate the most precise and secure Galileo signal, the Public Regulated Service (PRS). The expanded facilities were formally inaugurated on Monday (July 2, 2012) by Franco Ongaro, ESA’s director of technical and quality management; Didier Faivre, ESA’s director of Galileo and navigation-related activities; and Riccardo de Gaudenzi, head of ESA’s Radio Frequency Payload Systems Division. The facility will also be used to evaluate prototype PRS receivers, help enable high-precision service applications, and aid investigation of anti-jamming and anti-spoofing techniques. Transmitted on two encrypted signals, PRS offers the highest accuracy Galileo service, with access reserved for governmental organizations such as police, fire protection, and emergency services. The PRS Laboratory is a physically and virtually isolated facility where testing can be carried out on a fully secure basis. 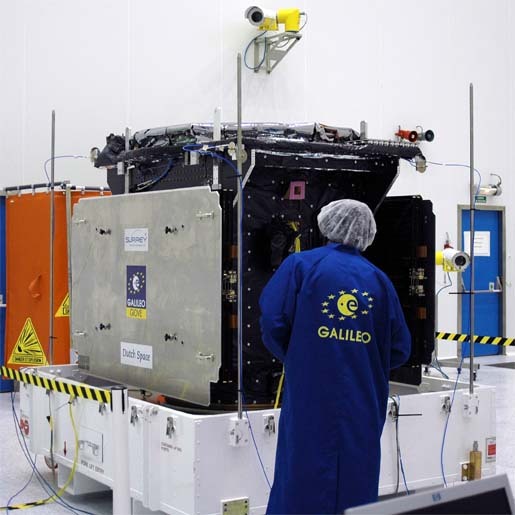 While employed by Galileo for now, ESA plans to use the facility for all of its projects involving secure access to protected equipment or data. The Radio Navigation Laboratory investigates the full range of navigation applications, from practical to scientific. An example of the latter is the ongoing PARIS mission, which will monitor reflected GNSS signals to detect ocean storms and even tsunamis.